Anger and hostility are signs of aggravated pitta in the nervous system. Pitta is necessary for right understanding and judmgent, but when it gets disturbed or out of balance, it creates misunderstanding and wrong judgement, leading to anger and hostility. The aim is to bring the pitta back to its normal constitutional function. Here are several simple home remedies to cool down that hot pitta and keep tempers under control. Perhaps most important, a person who becomes angry easily or often should follow the pitta-pacifying diet , especially avoiding hot, spicy and fermented foods, citrus fruit, and sour fruit. 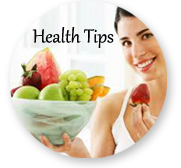 Favor simpIe, bland foods and cool drinks, and avoid alcohol and drinks with caffeine. Stress Support - 1 capsule twice daily with plain water after food. Brahmi capsules - 2 capsules twice daily with plain water after food. Brahmi Chawyanprash - 1 teaspoonful twice daily after food. Brahmi acts as a good tonic for the brain. It improves the vitality of the nerve cells and circulation in the brain and hence useful in controlling the temperament of the person. It is helpful in conditions of fatigue and reduces stress and also acts as a good rejuvenator. Additionally, it is also useful in enhancing the memory power. One can practice of holding deep breaths during times of stress. "A sound body- sound mind". So to have a healthy mind one should follow a healthy food habit and avoid spicy and junk foods. Also one should have physical exercises regularly to lead a stressfree and a healthy life. 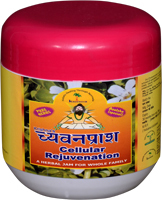 Bramhi Chawyanprash is a herbal jam, contains about 56 herbs with amla as base. This is one of the most traditional remedies for Ayurveda, which are rich in natural anti-oxidants. Stress win capsules contain Ashwagandha which is again helpful in reducing the stress and has claming effect on mind. It's also not recommended for people with a pitta body type to take saunas or steam baths, to get overheated from exercise or sports, or to be in too much direct sun. In other words: keep cool. Rub some bhringaraj oil or coconut oil on your scalp and on the soles of the feet. That will help to bring down the excess pitta. You can do this every night before getting in bed to regularly moderate pitta. Be sure to wear some old socks and a hat, or put a towel on your pillow, to prevent the oil from staining. Another simple ana effective way to help balance your emotions is to place a drop of sandalwood essential oil on the "third eye" area between your eye. ; brows, as well as on the throat, breastbone, navel, temples, and wrists. Just a small famount of oil is sufficient.? Steep 1/2 teaspoon of this mixture in 1 cup of hot water, cool it, and then drink. You can drink it 3 times a day, after each meal. You can use an even simpler formula. Take 1/2 teaspoon of chamomile and 1 tea?spoon of fresh, finely chopped cilantro leaves, and steep them in 1 cup hot water for about 10 minutes. Allow this tea to cool before you drink it. Into 1 cup of grape juice, add 1/2 teaspoon cumin, 1/2 teaspoon fennel, and 1/2 teaspoon sandal?wood powder. This cooling, pitta-pacifying drink will help to settle angry feelings and other pitta symptoms such as burning in the stomach. Arjun Tea- A natural herbal tea for controlling blood pressure, keeping the pitta or heat (Anger and hostility) under control is a useful herbal remedy for such conditions. 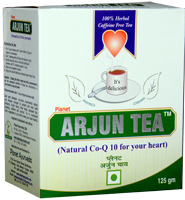 Arjun tea is a unique herbal tea and is the safest herbal product for blood pressure, hypertension, high cholesterol, fatigue, and blocked coronary arteries. It tones up and strengthens heart muscle and arterial system. It is a Nicotine/Caffeine free herbal tea to take care of above mentioned problems and that too without any side effects. Stress Support is another useful remedy for keeping things under control. According to Ayurveda the balance of 3 energies- Vata, Pitta and Kapha (Kinetic, Thermal and Potential energy) in the body is a disease free state whereas their imbalance causes diseases. Continuous stress leads to imbalance of Vata and consequently other energies. The herbs in this product act synergistically to control vitiated Vata", therefore acting on the root cause. Stress Support is purely a herbal formulation without any chemicals added into it. 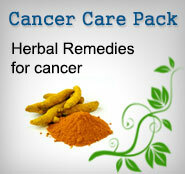 The ingredients are frequently used in Ayurvedic system of medicine since 5,000 B.C. without any side effects. Dip your little finger into a jar of brahmi ghee (or plain ghee if you haven't made brahmi ghee), and lubricate the inside of your nostrils with a small amount. (Make sure your nails are trimmed so you don't scratch yourself.) Then gently inhale the ghee upward. This sends a calming message to the brain. You will become quite tranquil; anger and hostility will dissolve like a cloud in the sky. A cooling pranayama to help dissipate anger is shitali pranayama. Make a tube of your tongue; breathe deeply through your mouth down into your belly; hold the breath for a few seconds; exhale through your nose. Do about 12 repetitions. Good yoga asanas for pitta include the Camel, Cobra, Cow, Boat, Goat, and Bridge poses. Avoid the Head?stand or other inverted poses such as the Plow and Shoulder Stand. Do not perform the Sun Salutation; do the Moon Salutation instead. There is an ancient method of meditation that involves watching your every emotion come and go, without either naming it or trying to tame it. As the feelings arise, breathe deeply, and exhale the emotions out.